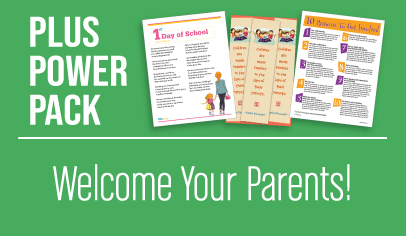 As a PTO Today Plus member, you belong to our premium community of parent leaders. Log in with your Plus code (top right) and you can easily download all the files below. 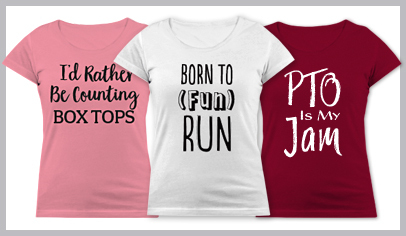 And check back often to see what new goodies we have waiting for you! 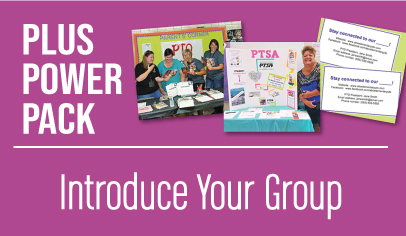 Check out the March/April issue of PTO Today magazine! 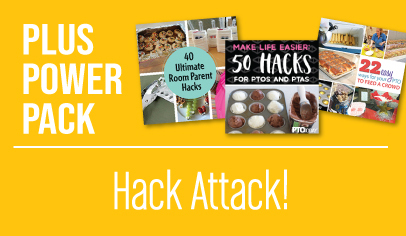 PTO Today Plus members get first dibs on our free annual Back2School program*—all you need to do is sign up for your chance to get gift packs filled with samples and special offers to share with parents at your back-to-school event next fall. In the past, our packs have included samples of Pirate's Booty, Welch's Fruit Snacks, Juicy Juice, RXBar, and more. *PTO Today Plus members at K-8 schools get first dibs depending on program and brand geographic requirements. 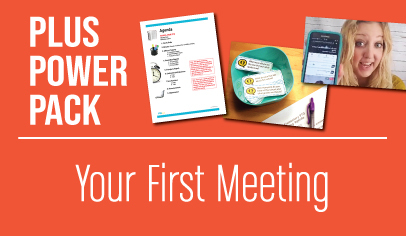 Plus Members get exclusive access to content, including our popular power packs that round up our very best ideas and tips on topics we know are top of mind. No need to spend hours searching—we make it easy! When you need individual documents, like a financial worksheet, meeting annoucements, thank-you letters, and more, download them quickly from our Plus members section on the File Exchange. 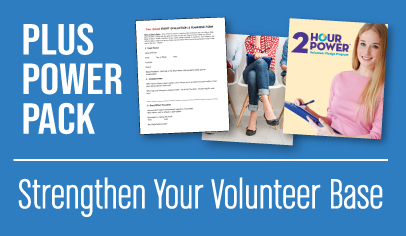 You'll also find sample bylaws, IRS forms, and lots of others. We want to save you time! With our Plus-only customized flyer and social media graphic service, you select a design and tell us what information to include. We'll take it from there and send you a finished flyer and an image for Facebook! Join our Plus members Facebook group! 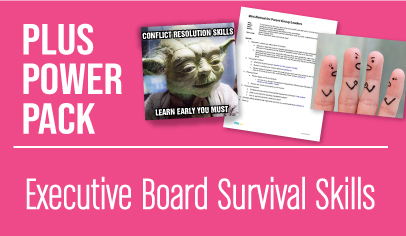 We share lots of helpful content and resources (saying you time!) and post information about our popular sampling programs (you get first dibs!). We've also been known to give away some fun stuff occasionally. It's a great place to ask questions and share ideas with fellow leaders and Plus members. 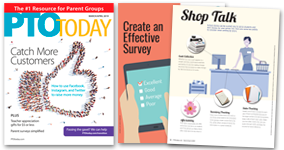 Get in touch with our team of experts—all parents, school volunteers, or former PTO executive board members—to talk about what is important to you. Wondering what to plan for a holiday event? Not sure if your group needs insurance? We can help! 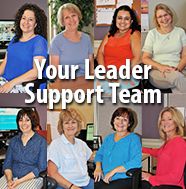 Plus members get priority access to our Leader Support team; email or call 1-800-557-2670 anytime. 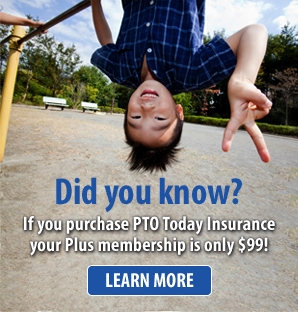 Sign up for a PTO Today Live expo, our one-day ultimate event for parent leaders, and save 50% on the registration fee. While you're there, you'll get a one-on-one consultation with a PTO Today expert, available to Plus members only. 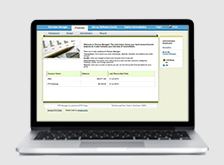 Save $20 on your purchase of Finance Manager, an amazing accounting software package designed specifically for parent groups. 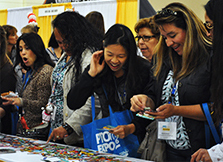 Attend a PTO Today Live expo, the ultimate one-day event for PTO and PTA leaders and save 50% on your registration fee. 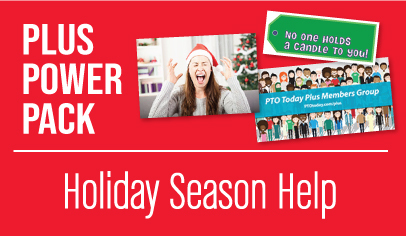 PTO Today Plus members get first dibs on sampling programs and freebies offered throughout the year, so be sure to check your inbox and the Plus member Facebook group regularly! Participating schools received 18 packages of King's Hawaiian dinner rolls to serve at famiy movie night, the Legend of Hallowaiian DVD movie trailer to screen, and coupons for parents (value $108). Participating schools received five Mrs. Meyer's Growing Compassion Gardening Kits containing free Mrs. Meyer's hand soap, $10 school supply gift cards, compassion flower gardening activities, and more to share with their teachers in grades K-2. Participating schools received 250 The Laughing Cow® Cheese Dippers and coupons to share with families at a spring school family event. Participating schools received 200 free samples of Hyland’s 4 Kids homeopathic medicine and coupons to distribute to parents at a winter school event. Participating schools received 100 free apples and handouts for their winter school family event. Participating schools received two LeapFrog Epic™ Academy Edition learning tablets to demo and give away as door prizes in 2017 (value $240). Participating schools received four LeapFrog LeapStart Interactive Learning Systems to demo and give away at back-to-school events, plus three more to donate to preK and kindergarten classrooms in 2017 (value $160). 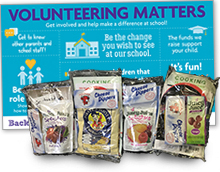 Participating schools received free TruMoo chocolate milk to sample to families at a spring 2017 event (value $45). 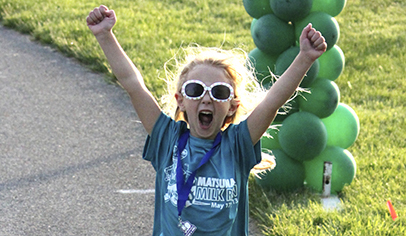 Selected schools received free copies of the book Mr. Lemoncello’s Great Library Race by New York Times bestselling author Chris Grabenstein to use as a door prize, along with 100 chapter samplers to give out as a fun take-home for kids.